Wrinkles and fine lines are a natural part of the ageing process. Which is usually caused by a reduction of collagen in the skin. This lack of collagen results in the skin losing its elasticity and hence the formation of unwanted wrinkles and lines. Reflect’s extensive range advanced treatments can help you to restore your natural youthful appearance. And slow down the ageing process! Reflect has invested in the best clinically proven technologies available. This allows our skin experts to ensure that you are prescribed the best treatment for your skin type. HydraFacial – This is a non-surgical procedure that delivers instant results with no discomfort or downtime. Red LED Light Therapy – The Red LED light has a powerful anti-ageing and anti- inflammatory effect on the skin. Holistic Facial – Facial treatments can help to improve the texture of the skin. Whilst increasing blood circulation and encouraging skin rejuvenation. Skin Peels – Skin Peels can help the skin to appear smoother, younger and brighter. Micro-Needling – The treatment helps to stimulate the natural production of new skin and collagen. Resulting in firmer skin and a more youthful appearance. 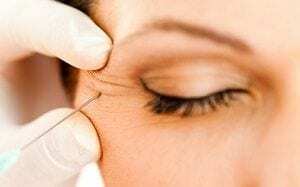 Injectables – A muscle relaxant is injected into the treatment area. As fine needles are used the process is painless. The muscle relaxant paralyses the muscle. Reducing the visual signs of fine lines and wrinkles.